That my fears might keep me alive, yet keep me from living. 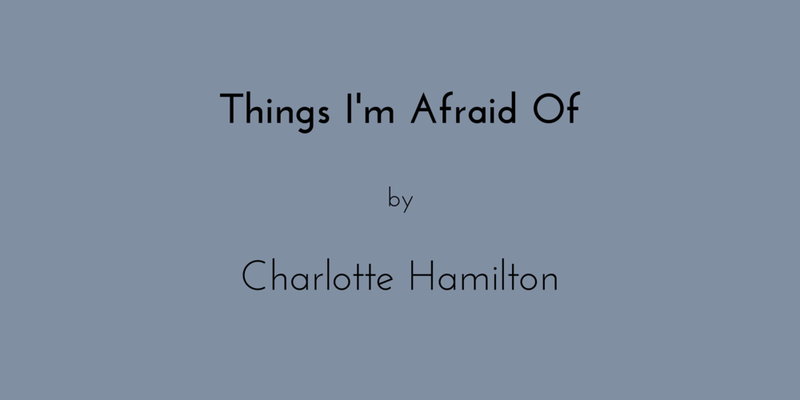 Charlotte Hamilton is a writer, performer, and social worker. She has performed in storytelling and stand-up comedy events around Chicago. Her writing has appeared in McSweeney's Internet Tendency, The Daily Palette, and Chicago Arts Journal. She is currently working on a play for Rhinofest (January-February 2018) at the Prop Theater. Want to see more of Charlotte's work? Check out her piece, What Words to Use, and With Whom, from Issue I: First Impressions!